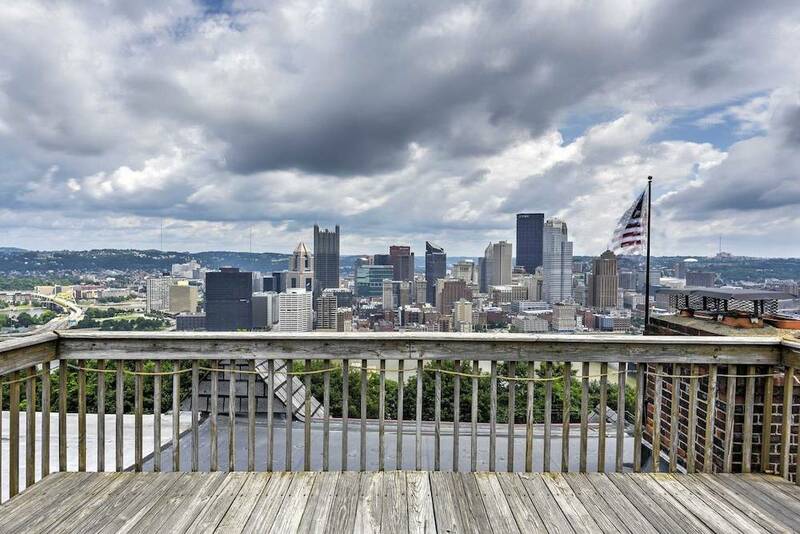 Looking for the best Airbnb homes in Pittsburgh? We’ve got your back. Pittsburgh is a city in West Pennsylvania and is located on a junction of 3 rivers – The Allegheny, Monongahela, and Ohio. It’s also known for being the City of Bridges because of its numerous bridges scattered all over the city. It has a whopping number of 446 bridges, making it the bridge capital of the world. Another interesting fact about Pittsburg is that it’s the largest city in the interstate region known as Appalachia. There’s so much you can do there, and no, we don’t mean just climbing stairs. You can visit the famous Phipps Conservatory and Botanical Gardens, the Andy Warhol Museum, Point State Park, Pittsburgh Zoo, Carnegie Museum of Natural History, Carnegie Museum of Art, or the National Aviary where you can observe some of the rarest birds in the world. 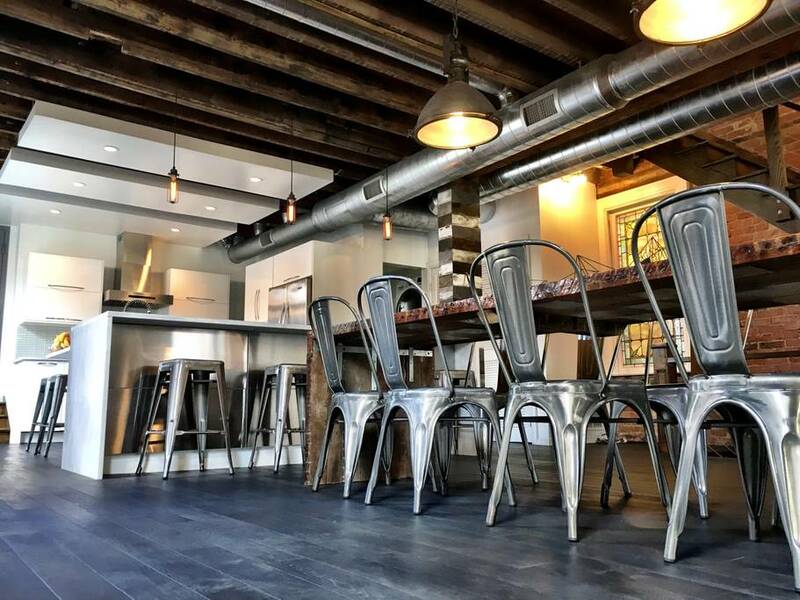 Built in 1880, this gorgeous house combines Pittsburgh’s rustic charm with modern appliances and furnishing. It’s within a walking distance from various shops and restaurants, and it’s also very close to Downtown Pittsburgh, Station Square, and many other tourist attractions. 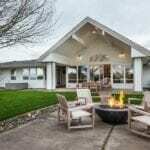 This gorgeous place can accommodate up to 8 people and it has 4 bedrooms and 5 bathrooms. It’s perfect for both groups and families coming to Pittsburgh to have some fun and explore the Steel City. You’ll have an amazing view of the city from your balcony while drinking your morning coffee or a cozy evening next to the indoor fireplace. If you’re coming to Pittsburgh, make sure to check out this place because it’s awesome, convenient, and centrally located. This stunning house is a modern masterpiece. Located in the heart of Pittsburgh, this house is ready to fulfill all your fantasies. It’s within a walking distance from many amazing shops and restaurants, as well as popular tourist attractions. Featuring a 4-bedroom and 4.5-bathroom layout, this place can hold up to eight guests. When it comes to amenities, there’s everything you’ll ever need – and then some. If you’re feeling like staying in and chilling, you can pick something from the owner’s stunning alcohol cabinet, or if you want to see the city, just go to the rooftop and enjoy the breathtaking view. This place is a perfect fit for everyone who wants to have a truly luxurious Pittsburgh experience. Located in the heart of Mt. 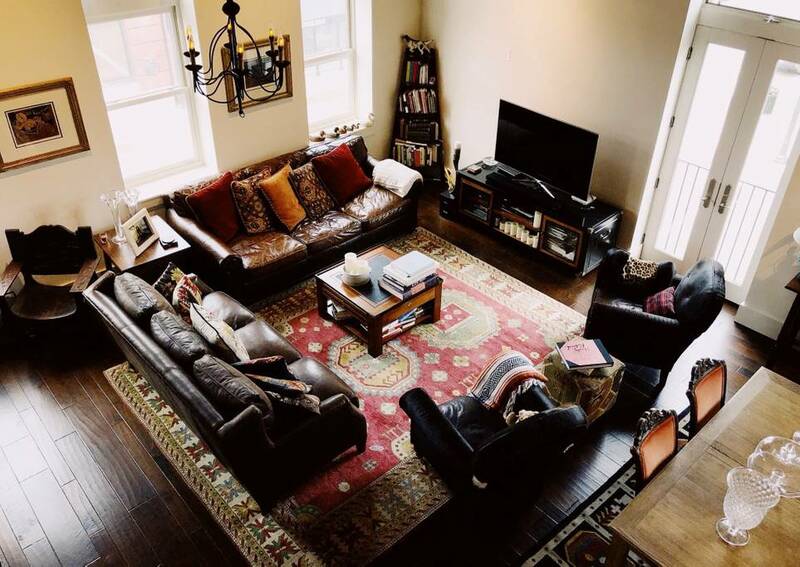 Washington District, this beautiful house is perfect for your Pittsburgh stay. If you like to walk around, then this place is your perfect match – from here, you can easily reach all the popular and interesting places, making it very convenient. Featuring four bedrooms and four bathrooms, this place can accommodate up to ten people. 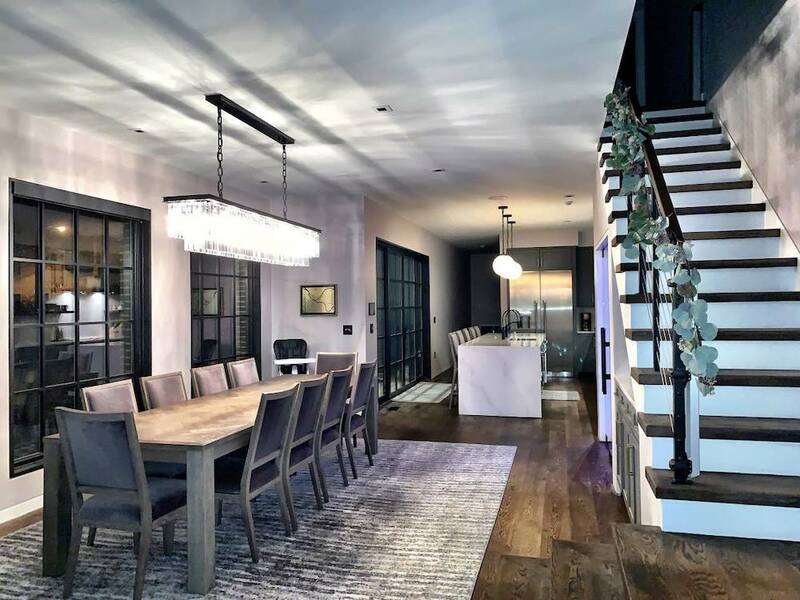 The interior is breathtaking – filled with marble detailing, modern accessories, and a stunning fireplace to cozy up next to. After a long day of walking, you can relax in a hot tub, or simply cook a great meal in the state-of-the-art kitchen. The options are endless! This place is perfect for both groups and families looking to visit Pittsburgh. One thing’s for sure – this place is out of this world and you should get your hands on it as soon as possible. If you’re looking to experience all the Pittsburgh charms while being away from all the city fuss, then check this fun place out. It combines the best of both worlds – amazing rustic, charming décor, contrasted with modern detailing and appliances. It’s extremely cozy and comfortable, designed solely for your enjoyment. It’s located in the town of Sewickley, which is on the outskirts of Pittsburgh – hence it’s easily accessible by bus or cars. It can accommodate up to 2 people and it has one bedroom and one bathroom. You can enjoy the rooftop view from a jacuzzi, choose a drink from a hefty liquor cabinet, or fire up a grill and enjoy the fresh food. This place is perfect for couples who want to see Pittsburgh and its surrounding area without having to bear with crowds or traffic. This home will definitely impress you. It’s a modern paradise that’s very centrally located. 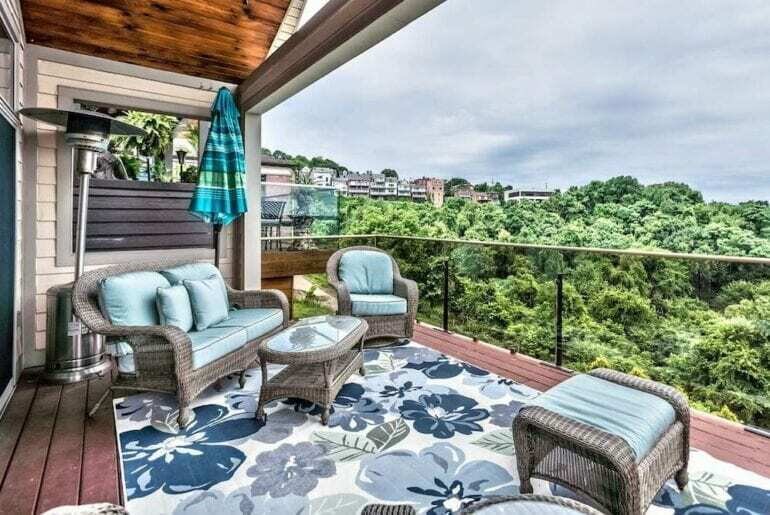 The Shadyside neighborhood is a very sought-after neighborhood in Pittsburgh, making it very desirable and convenient. This place can hold up to six people and it has three bedrooms and two and a half bathrooms. If you’re into contemporary décor, then this house won’t disappoint! The décor at this place is one of its best features, offering an amazing industrial design filled with cool and unique pieces and interesting artwork. Some of the amenities include a modern, fully equipped kitchen, rain showers, and it’s also totally kid-friendly. You can’t go wrong by choosing this place – it’s comfortable, cozy, beautiful, convenient, centrally located, and the price is more than reasonable for what you’re getting.